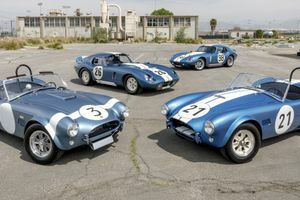 Powerful, lightweight, and an American icon, the Shelby 427 Cobra was the brainchild of sports car builder Carroll Shelby. 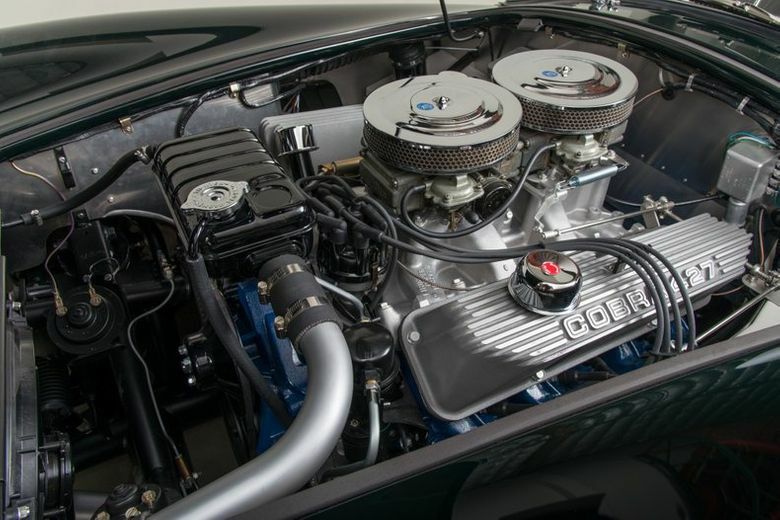 Realizing that the 289 Cobra had more potential than was currently available, he moved forward with dropping a 427-cubic inch V8 into the aluminum body and tube-frame chassis. While the aluminum body and frame had to be widened and lengthened and the chassis updated to hold the newfound power, the upgrades would yield a car that would become synonymous with lightweight performance and racecar-like handling. 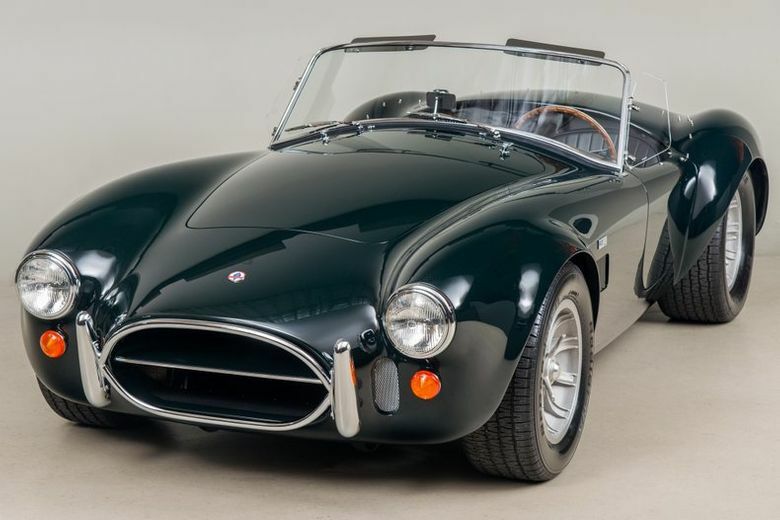 According to the Shelby American World Registry, CSX 3279 was billed to Shelby American on June 10th, 1966, and is noted as being originally finished in green acrylic paint with a black interior. It was then billed from Shelby to Ron's Ford Sales of Bristol, Tennessee, for a total cost of $6,386.50. 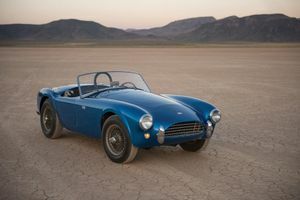 Geoff Howard of Danbury, Connecticut, would become the Cobra's first known owner, after acquiring it in 1975 and restoring it from 1975 to 1976. It was at this time that the present 427-cubic inch, side-oiler V8 engine with medium rise heads and dual quad carburetors were installed, replacing the original 428-cubic inch power plant at the time. The car was refinished in dark green acrylic, but retaining its original interior and Sunburst wheels. 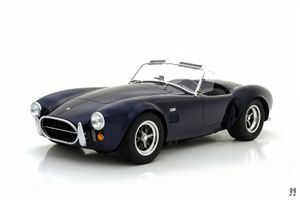 Following the completion of its restoration, the Cobra was offered for sale in early 1977 by Howard. The car's next owner would be Ken Brenneman of Clarendon Hills, Illinois. CSX 3279 would see limited street usage by Brenneman, and it was well preserved in his custody. In 2000, it received a cosmetic and mechanical refreshening to the tune of $30,000, and during this time it was finished in blue with a single silver stripe and chrome side pipes, as well as adding a competition fuel filler. Shortly thereafter, it was acquired in early 2002 by Donald C. Fort of Jacksonville, Florida, and it is believed that the car was repainted in green with a single white stripe during his ownership. The Cobra would then be purchased from Fort by Sam Pack in 2008. CSX 3279 was then acquired by Canepa in November of 2014, where it would then begin a two year, body-off concours restoration. The Cobra was disassembled down to every last nut and bolt, cataloging each and every piece to ensure that they would be restored back to their period correct finishes. The hand-formed aluminum body was carefully removed from the steel chassis and placed on a special wooden support, and then was then stripped of its paint, cleaned and restored. Meanwhile, the tube-frame chassis was cleaned, restored and refinished before the body was placed back together. All new aluminum interior panels were fabricated, including the dash, floors, trunk, inner fender and firewall. The 427-cubic inch V8 engine, 4-speed manual transmission and rear end were completely restored down to the smallest pieces. 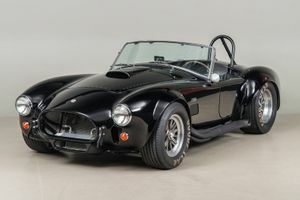 The engine was rebuilt by Roush Performance, ensuring that the Cobra had all of its horsepower on tap that the engine originally provided when it left the factory. All of the suspension components were crack checked, restored and refinished to new condition. All of the original hardware was carefully replated and restored back to their original factory finishes. The wheels are the original Pete Brock designed "Sunburst" cast aluminum wheels. The Cobra received all new upholstery material on the seats, dash, doors, and side panels. The leather seats were restored using the original seat frames. All of the Cobra's instruments and switches were restored back to factory new condition. It also received a brand new, period correct soft top along with side windows to accompany it. 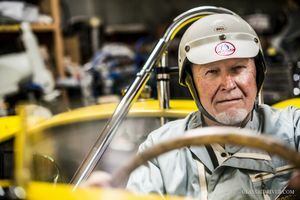 Canepa's experience with 427 Cobras is not only through completing more than 6 ground up restorations of the famous Shelby sports car, but also from Bruce Canepa's personal experience and ownership history. 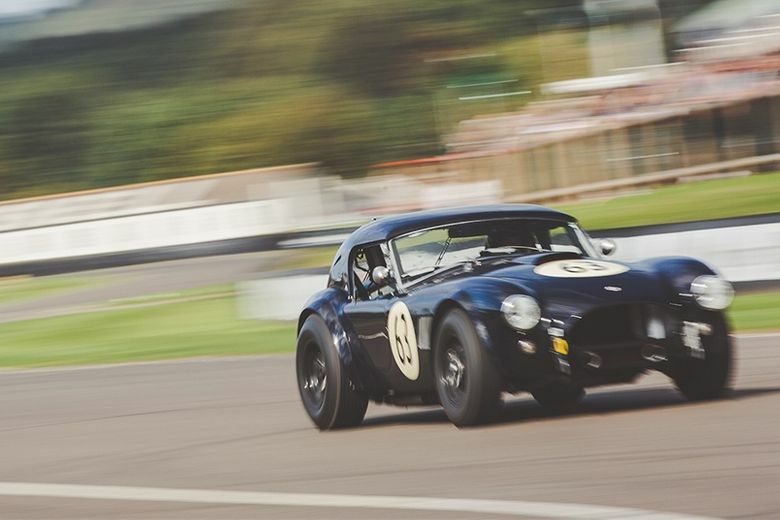 With his very first 427 Cobra remaining in his ownership for 20+ years and his current Cobra of 5+ years, this familiarity with the brand has allowed us to engineer improvements into the car that make them drivable in all conditions. The Ford engines are rebuilt to run efficiently on today's modern 91 octane fuel and ensure they make all the performance that they did in 1967. An electric engine fan is added as an upgrade which does not interfere with the originality, and in turn gives such efficient cooling that even driving on the hottest day in the worst traffic is no problem. Electric air blowers are installed into the existing fresh air intake hoses, which are standard on a Cobra, and provide an ample amount of fresh air into the lower foot wells. The original alternator is rebuilt and upgraded to a higher amperage to support these added features. Heat management inside the cabin is also addressed through insulating the entire cockpit with state-of-the-art materials and titanium heat shielding. This ensures that the driver and passenger do not experience heat higher than the normal ambient temperature. The original exhaust manifolds are hot coated with a cast iron finish inside and out, and the entire exhaust system from manifold to tail pipes are black hot coated to further reduce heatsink underneath the car. 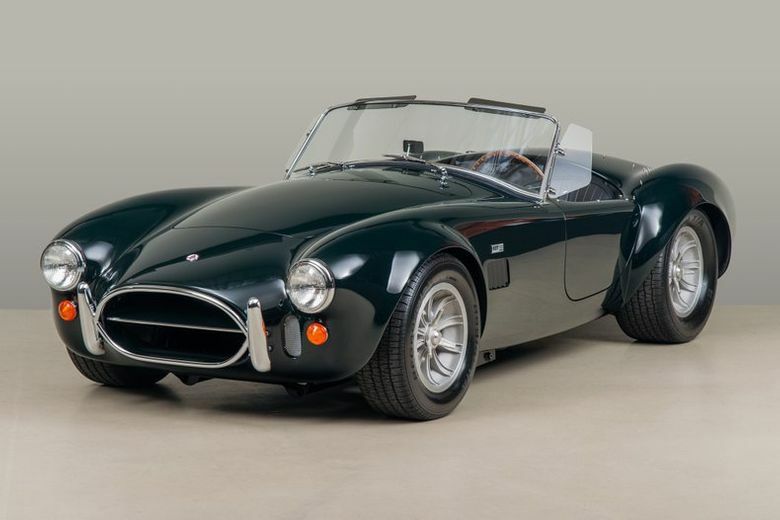 This 427 Cobra is one of the finest in existence, a SAAC documented Cobra brought back to its period correct condition, and is cosmetically ready to win a concours, and mechanically sorted to drive across the country.